"Attention to the D5 Socialia Pro Users!" The 1.2.8 Version was uploaded to the server. This version fixed the sliding image black screen problem for the second image. Please upgrade your theme version downloading from this place. Nothing should be changed except theme updating. That's it. 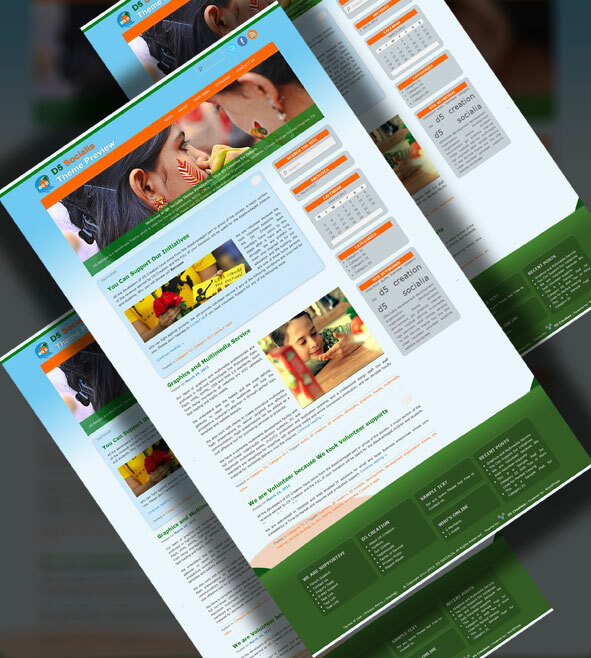 D5 Creation is proudly announcing the first PROFESSIONAL theme D5 SOCIALIA PRO for Social Development Organizations. This theme is only for the STARTER, ADVANCE and DEVELOPER Members. This version has come with Theme Options where you can customize most of the features of this theme including 12 slide image customization. Downloaded 35000+ Times in the First 30 Days, Source: WordPress.org and other sources. 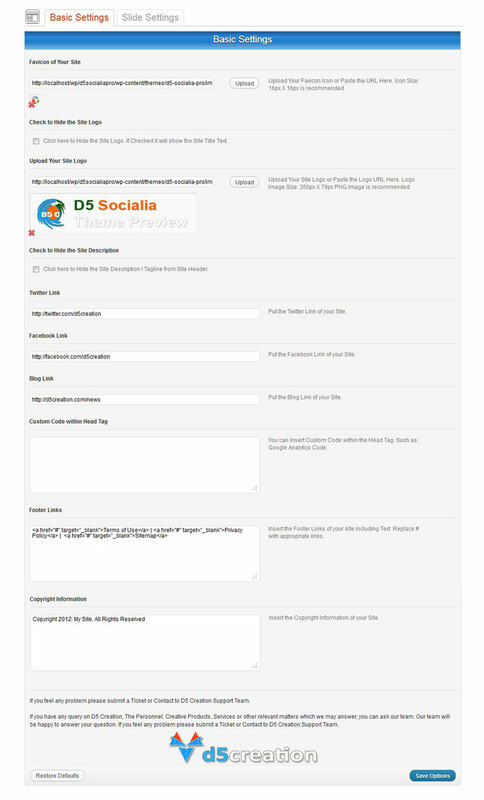 The D5 Socialia PRO theme for WordPress is sophisticated, lightweight, and adaptable. This theme is better for Social Organizations basically for the organizations working for Climate Change, Disaster Management, Natural Resources Management, Environment, Environmental Management, Social Works, Social Deveopemnt, Cultural Organizations etc. It can also be used for Personal Blog. Make it yours with a Custom Menu D5 Socialia comes equipped with a Showcase page template that transforms your front page into a showcase to show off your best content, widget support galore (sidebar, Six footer areas, and a Showcase page widget area), and a custom "Ephemera" widget to display your Aside, Link, Quote, or Status posts. Included are styles for print and for the admin editor, support for featured images (as custom header images on posts and pages and as large images on featured "sticky" posts), and special styles for six different post formats. EXCITING DISCOUNT for Limited Time for all Membership. Save 20%. Click the Image and Read Details. Win a STARTER Membership for FREE! OH great theme! I was searching such this theme for a long time and found at last. Thank you developer. One question, will you make a option to change the background color? The problem has been fixed! The 1.2.8 Version was uploaded to the server. This version fixed the sliding image black screen problem for the second image. Please upgrade your theme version downloading from this place. Nothing should be changed except theme updating for the D5 Socialia Pro Users. Please change the necessary parts of slide-image.php file as before if your are D5 Socialia user.